In July 2017 after many years of wondering if I was having panic attacks and could never get up my stamina even though I walked, jogged, ran, did toning exercises, and Tae Kwon Do martial arts for at least 10 1/2 hours a week. I could never hold out well in sparring matches though. I would get dizzy, and short of breath. I complained to the nurse practitioner for a while about chronic fatigue or something was going on after being pregnant. I was finally referred to cardiology, premature ventricular contractions were diagnosed, but it got worse, and I had more symptoms. I started having premature ventricular contractions (PVCs) eight months ago. Last week I went in for a catheter ablation. I am now 10 days out and noticed that I no longer have tachycardia, at all. The doctor told me that this procedure would not improve my blood pressure but it seems that it has and I get numbers in the 120/60 to 70 range. Granted, I am happy that I no longer have tachycardia, often triggered from even one drink of alcohol, but I sure would welcome the normal rhythm which I don't have, yet. I have had occasional flutters all my life which I now know are premature ventricular contractions (PVCs). Over the last five years (I am 59), they worsened, and I would frequently awaken with a fast, irregular heartbeat and heavy breathing. I was recently diagnosed with sleep apnea, although I think I have had it for 6 or more years. My doctor said it was hot flashes! My EKG revealed that when I have an apnea episode, my oxygen levels drop and I awaken, have PVCs every other beat for a few minutes, then it all repeats again, sometimes for an hour or two, making it very difficult to sleep. JI just started on CPAP and hope that helps. I will have a Holter monitor test, and doctor said she thinks the sleep apnea is setting off the PVCs. I may need to sleep with oxygen, and probably will start beta blockers. I am in great health otherwise, mountain bike, hike and ski at high altitude. I have a congenital mitral valve prolapse that is benign. I do notice if I get dehydrated I have more PVCs so pushing the water helps. Pizza and Chinese food set them off (saltiness probably), also caffeine and alcohol, so I avoid all those things. Hope you consider sleep apnea as a possible cause. Good luck! My premature ventricular contractions (PVCs) started with insertion of two stents about 10 years ago. They are extremely debilitating (though I'm told they are benign) in that they are like being poked in the chest over and over again. One gets tired, light-headed. I take an anti-anxiety medication, which helps. Oddly, and I'm interested if anyone else has discovered this, I can get relief if I belch frequently or yawn over and over! I have an appointment with a specialist to look into ablation. We'll see. I am happy to have found this forum. Helpful to see that I'm not the only one dealing with premature ventricular contractions (PVCs). I suspect that I have been experiencing PVCs for about 35 years now. When I was in my 20s and would get routine check-ups, my doctor would say, 'you know, you have a skipped beat,' and I would say 'okay' because I didn't notice it. I was very fit (up to 20 hours a week or more of tennis and dancing). However, thinking back, I used to get a sensation in the area behind the xiphoid process bone in the front rib cage, more so when I was fatigued or sleepy. Now I know what that sensation is. A year and a half ago I went through a 2 week period where I was experiencing very irregular heartbeats, fluttering, you name it. I went to the emergency room (ER) and was given the news that I was experiencing atrial fibrillation (A-Fib). I was placed on medication to control the A-Fib. Fast forward a year and I'm having a rough bout with skipped beats, but nothing erratic. My doctor says to go to the ER, and they pick up on the PVCs, which they tell me is different from A-Fib. The A-Fib is controlled but the PVCs persist. I did the whole nuclear stress test thing a couple of months ago and was told that while I may be symptomatic, that there was no structural damage found to my heart. However, these PVCs can be both annoying and worrisome. I am now embarking on independent homework, and this was a good place to start. I was born with a heart murmur. I would only feel the 'pause and pounding heart beat' a few times a year. It's been happening several times a day. I wonder if it is a symptom of premature ventricular contractions. I'm a 43 year old male who started having premature ventricular contractions about 4 months ago. They occur every day but I was told by my cardiologist that they are less than 1 percent of my heartbeats. I notice they occur when my heart rate is over 100 to 120 while walking fast. I have had premature ventricular contractions (PVCs) since I was a child but wasn't diagnosed until my early 20s. I am now in my 40s and while 20 mg beta blockers twice a day helped the past 10 years, they seem to be getting worse. The PVCs happen most when I am resting. I have had extensive tests done and told my heart is healthy, but it is frightening. Sometimes my heart does the pause, then a strong beat a few times, sometimes it feels like a flutter or quiver. It is very unpredictable for me though I steer away from caffeine, no alcohol, or smoking. Not sure what else to do. I hope this helps someone out there to relax who is experiencing the same symptoms. I am 45 and have had premature ventricular contractions (PVCs) for years. I went through a tobacco dipping period and this made it worse. I do not intake caffeine much but this seems to make it worse as well. One thing I have not read much of is right before or as I am getting sick the PVCs will worsen. Some nights as I am going to sleep I will get "shocked" out of my sleep. And every time I begin to doze off I get shocked again. This may go on for hours. Then, I have the flutter, pause and pound I call it. They are irritating but can be reduced. So try to relax and take all stressors out of your life and invest 20 to 30 minutes a day to meditate. I have been on a seizure medication for 8 years and I am being weaned off due to temporary psycho neurological seizures and not epilepsy. I think this is the issue causing the premature ventricular contractions (PVCs). I recently had a wellness test and came through with flying colors. I am 6", 168 lbs. My blood pressure is an average 120/60. My cholesterol borders to low. I do not drink alcohol, tea, coffee, soda. I rarely eat chocolate and no candy, no junk food or fast food. I have a very healthy diet of fruits, vegetables, greens, fish and very little red meat. I've just recently started having PCVs, 2 episodes lasting off and on for about 20 minutes only after I eat. I feel pressure in my upper chest and neck. I do not physically feel my heart skipping beats unless I"m feeling my pulse. The skipping will be every 3rd beat off and on for about 15 seconds. Another set will be every 5th beat off and on for about 15 seconds. This will randomly repeat for about 20 minutes but only after I eat then I get sleepy and dizzy if I stand up too fast. I hope this helps. I started getting premature ventricular contractions (PVCs) 35 years ago when I was pregnant and have continued through the years. Now they are getting worse as I am getting older. During the day I seem to cope with the PVCs but at night I cannot fall asleep feeling these heartbeats until I am relaxed enough or exhausted. Medicine does not help. The beta blockers are just slowing my heart rate down to the 50 to 55 beats a minute. I wore a heart monitor for 14 days recently so waiting to hear the results. I hope an ablation will help or maybe a pacemaker. I lost my only son in May of this past year. I was depressed of course and have sobbed a lot. Then I developed this fluttering sensation in my chest and stomach pit. I am 77 years old and am wondering if the stress of this has brought this on. First I thought it was indigestion, until I wore a heart monitor for 48 hours and they called today to tell me it was premature ventricular contractions (PVCs). I"ve never heard of it before. I am a little overweight. I am wondering if weight loss would ease the situation. I had a pacemaker implanted at 39 (heart block). Now at 65, 3 months ago (January 2014) I was getting faint and totally exhausted at gym. It continued almost daily, halter monitor showed premature ventricular contractions (PVC). The electro physiologist has me on verapamil 120mg which so far hasn"t helped. I gave up coffee and have 1 glass of wine in evening. I believe the coffee and 3 drinks of alcohol or more per day caused the onslaught of PVCs. If the PVCs don"t get any better I will consider ablation. I have occasions, sometimes often, when I am breathless, dizzy, and a bit faint. It happens mostly after sitting a while in a car. I have to hold on to something until the feeling passes. These do not last but a few seconds. 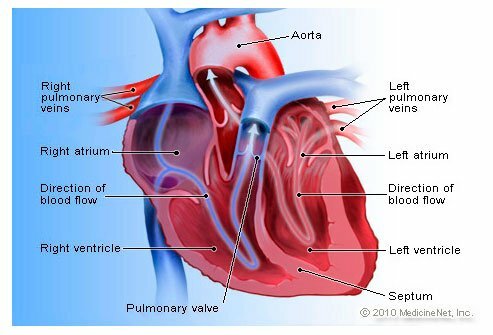 My heart doctor said I have PVC (premature ventricular contractions) which are not dangerous. I do have a pronounced heart murmur. I have premature ventricular contractions (PVC), and it is very depressing, and causes a lot of anxiety. About three months ago, I started to take standard process vitamin B complex. I had PVC for 40 years and now it is 70 to 95 percent better. Thank goodness I found something that worked for me. My Wife found it, and said to try it. I hope this will help someone with the same problems. Thanks much. I am 70 years old, and have had premature ventricular contractions (PVCs) for many years. I have a stent. A couple of months ago, I went for my physical and my heart rate was 36. The firemen took me to the emergency room and all resolved after 5 hours and they sent me home. I saw my cardiologist and wore a heart monitor for 24 hours and my PVCs were 24,000 in a 24 hour period. I was placed on a beta blocker at the very lowest dose. It is interesting someone noted loratadine (allergy medication) may increase these, and I do take one every day. My blood pressure is 107/58, I walk the dogs all the time, and am generally in good health. My pulse still goes down in the 30s and I do experience mild headaches lately. I'll see if the beta blocker helps in a month. My premature ventricular contractions (PVCs) caused a blood clot to go through my heart at 32 (doctor said I was lucky to have a strong heart). At 40 my blood pressure dropped and my beats per minute (bpm) went to 26. I went to the doctor and he put nitroglycerin under my tongue and called an ambulance; I stayed 3 days in hospital, nothing was found. At 60 I was once again in hospital with angina, and severe lump in throat, bpm were 52, but no artery disease. I am to wait and told if the beats per minute decrease, to go to hospital. I have experienced what I know now to be PVCs since around the age of 15. I am now approaching 53. These have never affected me even during extreme physical exercise (I was once near Olympic selection in pentathlon). I even experienced one during the Bruce Protocol when I tried to attain the maximum speed on the maximum incline at age 46. Recently, during stressful periods at work, I can go for two or three weeks experiencing PVCs at a frequency of 2 per minute. My escape involves vigorous exercise or de-stressing by not going to work or both. My PVCs have once caused sleep time syncope. Now I know what stresses me and what to avoid I feel a little more in control but never escape them entirely. My premature ventricular contractions (PVCs) began 45 years ago when I was only 12. It would never happen while the doctor was listening to my heart so he told my parents I was imagining it. I learned to live with it. What a relief it was years later when a Holter monitor test finally proved I wasn't imagining it. I was put on a beta-blocker, 25 mg per day, which controlled them for over 20 years. About 6 months ago, they returned with a vengeance and my doctor increased the dosage to 100 mg per day. I also cut out all caffeine. That wiped them out again until about 3 weeks ago. Other tests and my cardiologist assure me my heart is healthy and that I shouldn't worry. I've noticed that they get much worse if my stomach is very full or if I'm bending over for an extended period of time, i.e., cleaning the bathtub. They're also aggravated by cold medicine. It helps to know many others have dealt with this for many years and are still alive. That's the fear, and feeling like you're about to die when the PVCs hit. I've learned to stay calm when it happens. Being afraid makes them worse for me. There's no arguing that PVCs are very frightening and it can be hard to stay calm, but if you can do so, it does help. I first noticed my PVCs about 7 years ago. I literally thought I was having a heart attack because I had never experienced such a thing before. After a trip to the ER, the doctor told me there was nothing to worry about; however, he did recommend that I change my diet, stress load, etc. I made immediate changes, going from 223 lbs down to 180 lbs through proper diet and exercise. Unfortunately, the PVC's never went away. I experience them frequently; sometimes up to 10 per minute. Although I am hardly aware of them during the course of the day, they often haunt me at night, preventing me from falling asleep immediately. Although I find them to be irritating, I know they're not harmful, which provides some relief. I am 42 years old, in good shape, with normal heart pressure. Four months ago, I underwent examination for sleep apnea that revealed ongoing allergies; treatment of the allergies relieved those symptoms of sleep apnea. After about a month of taking over-the-counter allergy medications, I began to experience all the symptoms of PVC described by others on this list. Like others, I have less trouble when exercising and more when I am resting or lying down. I have cut out the medications and sugar (which seemed to be the worst offender), and cut way back on caffeine. The symptoms have persisted, and an irregular heart now affects my sleeping more than the allergy ever did. What I find most disturbing is the possibility that the allergy medication (loratadine) seems to have triggered the PVC. I am a 28-year-old female that is healthy and found out about my heart condition when I was 17. This past year my condition has worsened. I have had every test done out there, so I know what that is like. I had the Holter Monitor done about a month ago and they found out that I had 8,690 PVCs within a 24-hour period. That is beyond severe. I am always tired, always sick, feel like I can't breathe very well and my chest feels like it's going to explode sometimes. Very scary! I haven't been to a cardiologist in a long time, but my doctor is finally making me go again to get this checked out. I am 26 and have been experiencing PVCs for three years. I quit caffeine at the beginning of 2008, which helped, but heavy exercise seems to make it a bit stronger. I am a cyclist and ride at least 10 hours a week. I also find that they are the worst after two days of full rest after a hard block of workouts. Stress, sugar spikes, and some beer and most wine will also make it worse. My PVCs are generally marked by a flutter, then a long pause (and I mean long because my resting pulse is generally 46), then a two- to-three times stronger beat than normal, and then finally back to normal beating. I find they mostly happen at night, and on the nights I have them, they are about two- to-three minutes apart. In response to the comment made on July 30th. I too experience everything you listed. Exercise decreases the frequency of the palpitations and rest increases it. I also get the urge to cough at times and will sometimes get a headache or migraine as a result. You are not alone. I am a 32 year old, healthy adult who works in the fitness industry, no history of high blood pressure or heart disease. It seems to come and go most of the time, but when it is active it keeps me awake and interferes with my day to day activities. I have recently been diagnosed with PMC. I have no heart disease or high blood pressure, however knowing that does not take away my anxiety related to this condition. I have found that sitting and laying exacerbate the PMC and exercising decreases PMC. I have on average about 15 per minute and get a headache after a while and a tickle feeling that makes me want to cough, can others share their experiences please so I don't feel so alone in dealing with this. There were 244 isolated PVCs (premature ventricular contractions) recorded, rare. I just saw this on the result of wearing a Holter monitor for 24 hours. I had dizziness and headache. Premature ventricular contractions (PVC) were discovered by ECG. I can have no caffeine tobacco or alcohol. I am a 68 year old female and I have had PVCs (premature ventricular contractions) for many years. I just noticed that I am getting them more frequently after I eat. I'm a 48 year old female who started having PVCs (premature ventricular contractions) in the last 6 weeks. I had the Holter monitor, stress test, x-ray and EKG. Nothing showed up. Then I had an appointment with a cardiologist. Actually I had a really good episode in their office! Caught it all on the EKG. They said dehydration was a big part of it. I've been drinking more, but I notice that stress is a huge factor. It's been getting better since I've been drinking more water. But a stressful event will certainly jump start it! For the last six months I have experienced PVCs (premature ventricular contractions), missing beat after regular intervals 3, 5, 7, 14 etc. I have slightly more blood pressure (130-90) and my Echo and other tests are clear. Sometimes I experience it normal also. I get premature ventricular contractions a lot when I'm working in the heat or when I push myself too hard. I have cardiomyopathy, though, so this is all normal. They cause me to feel lightheaded, short of breath and very tired (like I need a nap). I was going through a very stressful divorce and started feeling like I was missing heart beats and felt the urge to cough to "restart" the beat. I was given a 24 halter monitor test and it revealed PVCs. Doctor said it was benign, put me on beta blockers and sent me on my way. My mom had mitral valve prolapse with palpitations her whole life and wound up with a heart attack and pace maker at 73. I gave up caffeine and alcohol but now am going through a lot of life stress again with family illness and finances and the PVCs started again. I am being treated by a Gen Practitioner and wonder if I should go to a cardiologist instead for management. I started getting PVCs for no apparent reason about six weeks ago. I went to the ER with mild chest pain and lightheadedness. They tested me with a Holter monitor, as well as a chest X-ray, ultrasounds and EKGs. Positive PVCs are present. I am a very healthy male – drink one cup of coffee a day, am a social drinker, and do not take drugs or smoke. I'm also a runner and am athletic. Right now, I'm waiting for a cardio appointment to determine further treatment. I have been going crazy all week because I am really scared. The first time I experienced PVCs was in Bosnia while in the military. I was put in the hospital because I thought I was going to have a heart attack. The EKG showed the PVCs but it was nothing major as far as the doctor was concerned. I was drinking A LOT of lemon tea, and he suggested I stop. I am allergic to acidic foods. I did and the PVCs went away but not completely. I would get them about once a month after that, until now when I seem to literally get them all day. I exercise every day and I am healthy, but I'm afraid that I may have heart failure. I have had PVCs for as long as I can remember (early childhood). As I grew older, they got worse and my heart would start racing. Coughing usually would get my heart to slow back down. It got worse when I was pregnant with my daughter and had to start taking a beta blocker to try and control the arrhythmia. It eventually got to the point where the beta blocker wasn't helping, and I would end up in the ER getting multiple doses of adenosine to slow my heart back down. Last September, I had what's called a catheter ablation done on my heart. They find the node in your heart that is causing the misfire, so to speak, and they either freeze or burn a section so that it leaves a scar and cannot conduct electricity. I have not had anymore episodes of it. I'm not afraid of where I might be when it happens and such. I still have the skipped heart beats. But that is going to be normal. My PVCs seem to come out of nowhere, and I feel an abnormal rhythm in my chest. It feels as though there is a skipped beat, and then the next beat is VERY hard. They are extremely bothersome sometimes and can wake me from sleep. I am a 31-year-old female and have experienced PVCs since I was 20 years old. When it first started happening, I was in college full-time, working 25 to 30 hours a week and living on Pepsi and chocolate! The doctor suggested I cut out the caffeine and chocolate, and that seemed to help for several years. I did notice them more often during my three pregnancies in my mid -to-late 20s. After my first baby was born, I returned to the doctor because they were happening a lot, and I was afraid I was dying. I had an EKG, but of course it didn't happen while I was on the monitor. The doctor said it was probably due to the stress of being a new mother. Lately, I seem to go through spurts where they are really bad (several a minute, especially at night), and then I go through a few weeks where I hardly notice them. Like others have said, they act up less when I am more active. I've been trying to exercise more to counteract them. I don't drink sodas, but I do enjoy hot tea, and I cannot give up chocolate or red wine! The past few nights have been especially restless for me and it gets even worse when my mind starts thinking about all of the things that could possibly be wrong. My current doctor assures me they are harmless, and my blood pressure is normal and cholesterol level is within the normal range. My mom has a mitral valve prolapse and she thinks I may have one too. Anyway, I wish there were some magic cure to get rid of them. My PVCs only happens after a lot of exercise or after a large meal. I feel two different types. Sometimes my heat flutters, but when I cough, it stops and goes back to normal but I feel very weak afterward. Then sometimes, it's one great big beat after it feels as if my heart pauses and then it starts to beat normally again. Both times I feel very weak and sick afterward, and I can hear my pulse beating in my ears constantly. I'm a 26-year-old female, and I began having PVCs about two years ago. They have only increased in frequency since then, but my doctor keeps telling me it's nothing to worry about. I don't drink alcohol, I don't smoke, I hardly drink caffeine, and I exercise regularly. I don't take any medications. I just wonder where they came from. I did the 24-hour Holter monitor as well. But the cardiologist wasn't concerned. When they occur, it's always when I'm at rest, not exercising, as working out makes them go away. My blood pressure has always been on the lower end of normal. I have multiple PVCs in a row. I'm talking like eight to 10 sometimes, and I can feel my heartbeat literally move my chest. It's very disturbing to me, but no one else is concerned about it! I am 23 years old and my first experience with PVCs was about two years ago. I was pregnant with my daughter, and I was walking through Wal-Mart. I felt the urge to cough, but no headaches followed. I believe that mine was caused by caffeine; however, I have chocolate from time to time without any PVCs. They come and go, and yes, they are scary. As a result, I have anxiety because of them, thinking that I may have a heart attack. I have heard many stories of people growing out of them and many stories of people whose symptoms get worse. Everyone has their unique way of how they feel. Just trust in your doctors. They will tell you what is right. They have been studying this for years. Eat right and exercise more. It definitely reduces the beats. I thought I was crazy. I too get PVC attacks, and they are very scary. I too had all the tests, EKGs, ultrasounds, stress tests, etc. The doctors can't find anything wrong with me. My blood is good. I do have high blood pressure, but there is really no reason to have high blood pressure. But the problem is, I now experience angina attacks, weakness, and dizzy spells, and I run for the aspirin. What is going to happen when I get older? I have been having PVCs since I was 14 years old, and I'm now 42 and things seem to be getting worse. I have experienced premature ventricular contractions (PVCs) off and on for about five years. In the last three months however, they have been constant and more noticeable. I have had many tests (stress test; stress echo with dye; angioplasty), and they have all been negative. I have sleep study being performed next week. I tried Toprol, but the side effects were too difficult to handle. Exercise seems to override the PVCs for a time. I'm a 37-year-old male who has been experiencing premature ventricular contractions several times a minute. I also get migraines, I belch a lot, and I have heartburn. I have skipped beats when I am resting and normal-to -increased beats with exercise. I've got to get to the doctor for a more detailed exam. I exercise frequently and have no other significant health issues besides this. Looks like it's time to cut out coffee (ouch!) and beer (lesser ouch) and get checked out. In December of 1995, I was coming home from a day on the job and suddenly I had chest pain. I was only 26 years old. I didn't know what was happening to me, so I pulled off the highway. I felt my heart beating “wrong.” I'd never felt that before, so I hit my chest very hard and then my heart started to beat normal, so I called 911. I was in the hospital for three days. They couldn't find anything wrong, but ever since then I get premature ventricular contractions two or three times a day. I am 48 years old and every year when I begin training for the annual triathlon I begin experiencing premature ventricular contractions. These occur during rest periods, particularly after heavy training routines. Often taking two to three days rest will help alleviate these symptoms. Proper re-hydration and nutrition seems to be key in diminishing the frequency of these episodes. I have had PVCs for about 15 years. (I am now 48.) They go away with exercise and return on resting phases. Emotional stress and coffee seem to increase the frequency. I suffer from migraines as well. Wine and stress seem to be triggers too. I can go long periods without any PVCs if coffee and stress aren't there. I have had echocardiograms, EKGs, cholesterol tests, advanced cardiac disease screens, and they all say the heart is healthy. The cardiologist says many healthy people have them. Getting them checked out can rule out any PVCs that are risky. I'm a 50-year-old woman who just recently started feeling my chest pounding throughout the day. I was diagnosed with frequent PVCs, over 1600 during the course of the 24-hour Holter monitor. The chest flutters are followed by a slight queasy feeling in the stomach, and is very worrisome. I am now reading up on the effects of Inderal to determine if I really want to go on medication; and I'll be seeing a second cardiologist to rule out any serious damage to my heart. Some doctors are just too complacent when it comes to women and the heart. You are not alone. I am a 35 year old man with slightly elevated blood pressure but otherwise healthy. I started having PVCs about a year ago and they have grown progressively worse. I can not seem to find a definite correlation between frequency of PVCs and physical activity. The only thing I can say is that the combination of bisoprolol for my BP and prilosec for heartburn seems to aggravate things. I have quit caffeine and alcohol, but didn't seem to help much. When a PVC hits, it is terrifying. I feel like I have had the wind knocked out of me for a second or two (I can exhale, but cannot physically inhale). I too get the urge to cough afterward and experience an extremely heavy compensatory beat. Often I will also belch. I've had the standard battery of tests EKG, stress tests, 24 hour halter monitor, sleep studies, all seem to be normal with the exception of the PVCs. Docs keep telling me that they are not dangerous, but it is still terrifying to me and I always wonder if this time will be the time my heart doesn't start up again. The most terrifying of all is when I get several PVCs in a row. The Heart takes several seconds to get back into rhythm.